This ski ground in Ikawa-Kainayama was first opened in 1927 and is one of the oldest and proper skiing ground in Shikoku. Since it was reopened after the restoration in 1997, the area includes 5 downhill courses and is complete with three people chair lifts over the length of 400 meters and pair chair lifts over 300 meters. It is being tried to keep the best skiing condition by using the snow-making machine. They have the playing area for small children and equipped with facilities for night skiing, so people can enjoy skiing day or at night anytime. 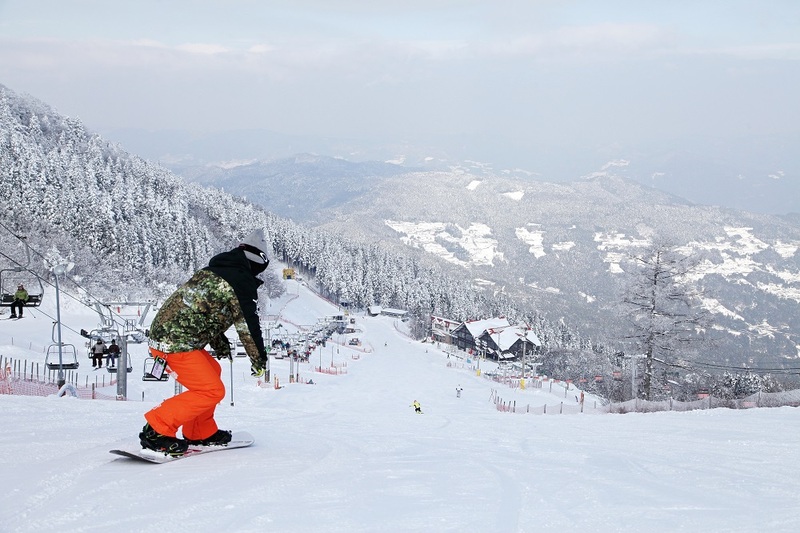 Lift ticket for one day - Adult 3,600yen- / Child 2,500yen -Lift ticket for half day - Adult 3,000yen- / Child 2,000yen - Lift ticket for night - Adult 2,000yen- / Child 1,500yen Various fees are set separately. Please ask at the front dest.